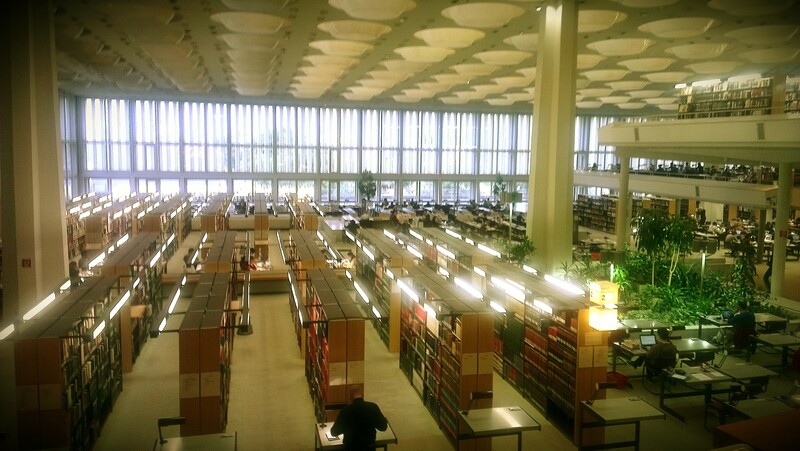 Intellectual Berlin – The Staatsbibliothek! I finally got tired of trying to work in Cafes in Berlin. I think people that actually think they get work done in Cafes are kidding themselves. There are way too many distractions to get any real work done – or you might be productive but probably only at 50% of what your potential is. Anyway, I digress. I decided to check out the Staatsbibliothek in Berlin – the only library I’ve ever been to that requires a paid membership and has security guards checking your library card before you can enter! **Just a note that this is the newer Staatsbibliothek on Potsdamer Strasse – not the one on Unten den Linden.